Many of us may think of our circadian rhythms only in relation to the ever important sleep/wake cycle. While it is known that this cycle is directly influenced by light and darkness, circadian rhythms are innate timing devices guided by biological processes within all bodily cells. These rhythms are 24-hour physiological patterns that most organisms follow each day. Just as the moon influences the tides, and the sun generates photosynthesis in plants, the human body’s integral biological clocks produce circadian rhythms that regulate the timing and govern the behavior of hormone levels, body temperature, metabolism and of course, sleep. Located in a region of the hypothalamus, the body’s master clock, or suprachiasmatic nucleus (SCN) comprises thousands of cells that control behavioral rhythm. Tasked with coordinating all the biological clocks to maintain balance or homeostasis, the SCN receives information directly from the eyes’ optic nerves, which is why light and darkness are central to the regulation of melatonin production. When there is less light, such as after sunset, the SCN directs the pineal gland within the brain to decrease body temperature and increase production of melatonin, the hormone that brings on drowsiness to prepare the body for sleep. Melatonin levels peak in the middle of the night and gradually decrease by morning, as the body begins to prepare for waking and activity. There are many factors that can interfere with the sleep/wake cycle, including natural aging, stress, medications, sleep environment, food and drinks, as well as genes that control the excitability of neurons or influence the circadian rhythms and timing of sleep. Perhaps the greatest negative influence on sleep patterns is exposure to artificial light at night from smart phones, computers, televisions and light bulbs, which suppress the production of melatonin more than natural daylight. As melatonin levels begin to rise several hours before bedtime, creating optimal conditions such as turning off devices and keeping the lights low for two hours before retiring for the night, as well as getting some daytime exposure to sunlight will help to assist melatonin production. Insomnia, occasional sleeplessness or interrupted sleep are common conditions in today’s high-stress world. As a natural hormone and powerful antioxidant, therapeutic use of melatonin for occasional sleepless nights is widely acknowledged to safely induce restful sleep. As well, taking small to moderate doses of melatonin does not appear to reduce the body’s own natural production of melatonin. Melatonin that is manufactured synthetically or extracted from plants is chemically identical to the melatonin produced by the body. For difficulty falling asleep melatonin should be taken thirty to sixty minutes before bedtime. For night owls wishing to get to sleep earlier, take melatonin two hours before desired bedtime. For those who have trouble staying asleep, a time-release formula may be best. Experts suggest starting with the lowest possible effective dose to improve sleep. Melatonin is nonhabit-forming and is considered quite safe. Short-term use of melatonin is well tolerated and does not appear to cause adverse effects. Research suggests that very low dose melatonin may be applicable for jet lag, delayed sleep, and sleep problems related to shift work and circadian rhythm disorders. While a complex and necessary process, the need for sleep is still largely undetermined. We do know however, that quality sleep at the right time is as essential to healthy function as nourishment is to survival. 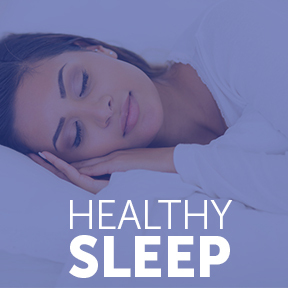 Sleep affects most bodily systems including the cardiovascular, respiratory and immune systems. Scientists have implicated a lack of sleep, as well as the consequent disruption of circadian rhythms, in the development of obesity, depression, diabetes and other chronic diseases. Scientific research shows that melatonin supplements may help to strengthen and improve sleep/wake cycles, making it possible to adhere to more healthful sleep patterns. The maintenance of consistent healthy circadian rhythms improves daily physiological and psychological function and provides long-term benefits for health span as well as lifespan. Sleep Balance by Diamond Formulations: Sleep Balance is formulated to promote and maintain restful sleep. Specific ingredients encourage normal, healthy restorative sleep, as well as discourage sleep disruption. Free of wheat, yeast, soy, gluten, animal and dairy products, fish, shellfish, peanuts, tree nuts, eggs, artificial colors, artificial sweeteners and artificial preservatives. Non-GMO kosher formulation. Melatonin 3 mg by Vital Nutrients: Melatonin 3 mg supports the onset of sleep, balanced sleep/wake cycles and better quality more restful sleep in support of mental, physical and emotional health. Free of gluten, wheat, daily, soy, eggs and sugar. Melatonin PR 3 mg Prolonged Release by Douglas Laboratories®: Melatonin PR 3 mg provides pure grade melatonin in a prolonged release tablet in support of healthy uninterrupted sleep and overall health. Free of yeast, wheat, gluten, soy protein, milk/dairy, corn, sodium, sugar, starch, artificial coloring and artificial preservatives. Non-GMO vegan formulation. Melatonin Liposomal by Quicksilver Scientific: This fast-acting, long-lasting liposomal liquid formula supports the body’s natural melatonin production for healthy sleep. An easy dosing, highly bioavailable and absorbable liquid formulation provides 1 mg of melatonin per serving in support of establishing normal healthy sleep patterns.